Founded in 2008, Newtrax Technologies believes the future of mining is underground, not only because metals and minerals close to the surface are increasingly rare, but because underground mines have a significantly lower environmental footprint. To accelerate the transition to a future where 100% of mining is underground, Newtrax eliminates the current digital divide between surface mines and underground mines. To achieve this goal, Newtrax integrates the latest Internet-of-Things and Analytics technologies to monitor and provide insights on underground operations, including people, machines and the environment. The end result is significantly better productivity, operational efficiencies, and safety. Newtrax leverages any existing network infrastructure underground, allowing underground hard-rock mines of all shapes and sizes to measure key performance indicators (KPIs) they were not able to measure before, in real-time, to enable short-interval control of operations during the shift. This includes real-time KPIs for drills, trucks, bolters, and LHDs with coverage all the way to the face, and a full-suite of KPIs without operator input using passive data collection. From early detection of hazards in ground, air and water, to proximity detection and collision avoidance and lone worker safety and evacuation & rescue, its safety solutions have been improving the LTIFRs of miners around the world. In productivity, its real-time monitoring, overall equipment effectiveness (OEE), overall face utilisation efficiency and overall haulage efficiency tools have been helping miners haul more with less for close to a decade. 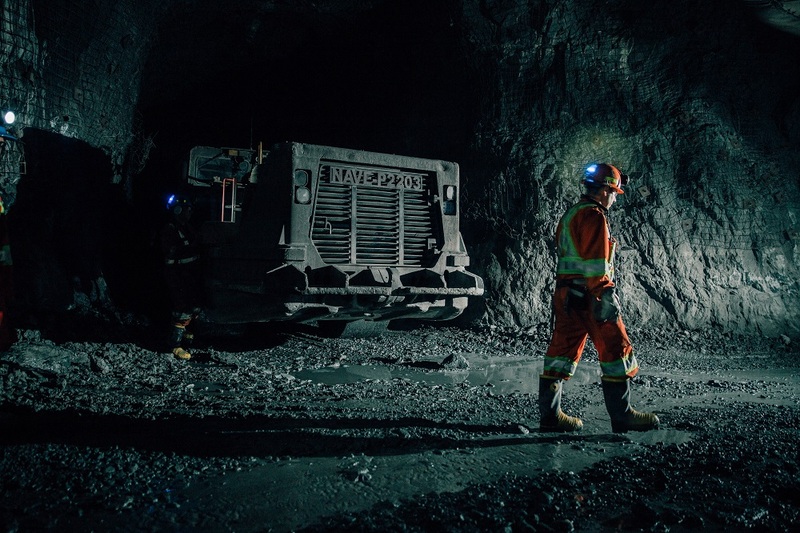 Its Mobile Equipment Telemetry (MET) system, one of its OEE platforms, has recently been helping Glencore raise productivity and increase operational awareness at its Matagami zinc-copper underground mine in Quebec, Canada. The operation, which mines the Bracemac and McLeod deposits, first installed the MET system back in 2016 on trucks and LHDs in order to maximise its haulage efficiency, but it has ended up doing much more. “Glencore Matagami mine has been faced with a continual challenge: how to haul ore to the surface most efficiently. Normally, this isn’t the most difficult challenge a mine faces but, at Matagami, all their ore is hauled with trucks,” Newtrax says. As part of its overall haulage efficiency aim, Glencore needed more information about its operation; which is where the company’s MET system proved its worth. 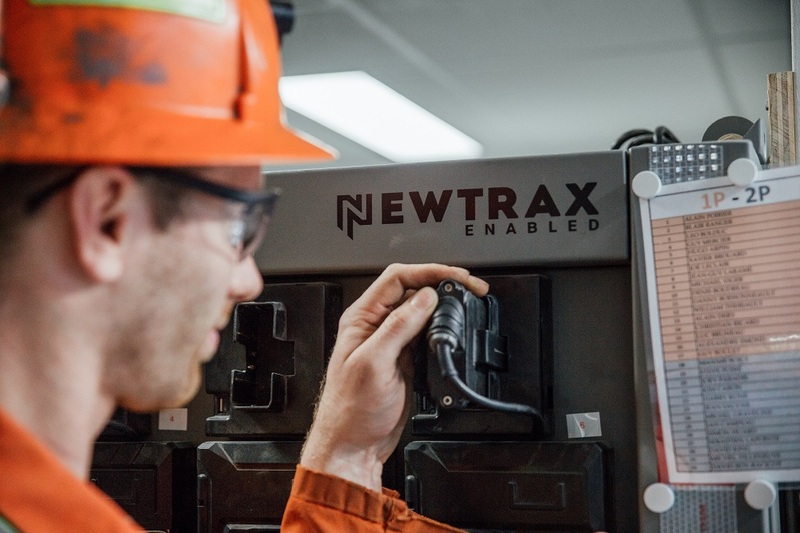 MET systems provide mine operators with essential information and indisputable data pulled directly from mining equipment, according to Newtrax. “The ability to access this data empowers mining companies to understand the precise manner in which their machines are being used, how well each individual machine is functioning, and can offer predictive suggestions to increase both productivity and profit,” the company says. “The MET works with all equipment brands and models and was easily integrated to Matagami mine’s mixed fleet of trucks and LHDs,” Newtrax adds. Glencore Matagami mine used the system in multiple ways including to monitor the standard production times of equipment, to calculate use of ore haulage, to calculate OEE and loads per cycle. Christian Ngoma, Underground Operations Superintendent of Matagami, says Newtrax technology allowed mine management to get a clearer idea of what is going on underground. “The Newtrax system enables us, from a managerial perspective, to make decisions based on facts that are measurable, instead of perceptions,” he said. Real-time payload broadcasted to the Newtrax MET telemetry recorder every five seconds, with no operator intervention. Ngoma says: “We now have production trucks equipped with Newtrax scoreboards to show tonnage, and the LHD operators use this tool to load the trucks in an optimal way. We now noticed that four out of five of our trucks have an average tonnage of approximately 60 t in comparison to 55 t before. Trucks currently travel 8 km on an average cycle within the operation, but there is a possible extension to 10.4 km in the coming years, Ngoma says, meaning the extra productivity will come in handy. Five per cent increase in loads per cycle. 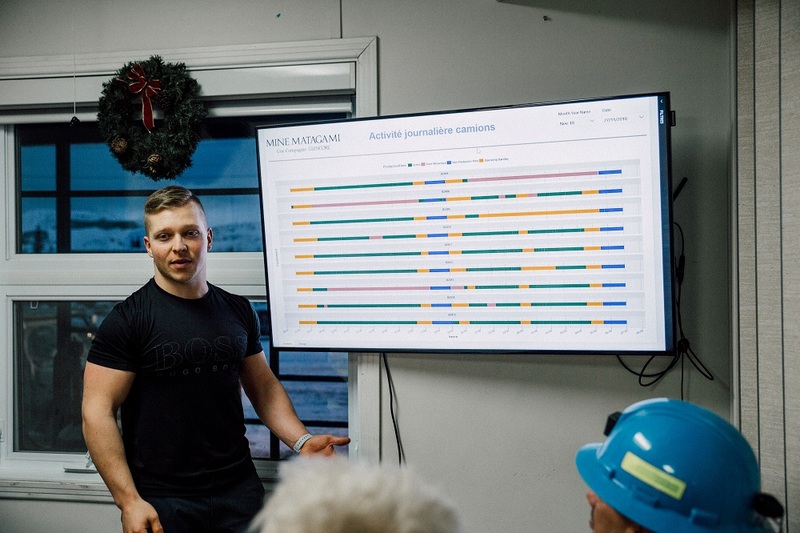 Glencore Matagami Haulage Team Supervisor, Dany Lavoie-Mercier, says: “The standard production time report is an improvement that is more representative of our daily operations. Solutions provided by Newtrax can be used across a number of platforms and systems, allowing for easy adaptability, the company says. Matagami Mine General Manager, Mark Furlotte, says digitalising the operation is part of the company’s plan for future-proofing the mine.